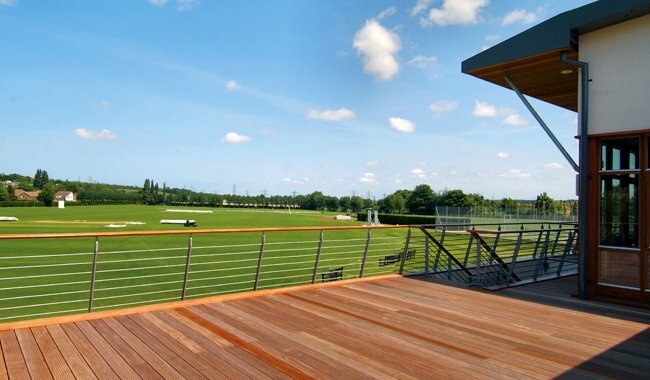 The main part of the College is in a single purpose-built unit, designed by top London architects. It sits to the right of the Malthouse with a striking mixture of weathered concrete and glass intended to preserve the gentle industrial feel of the site. 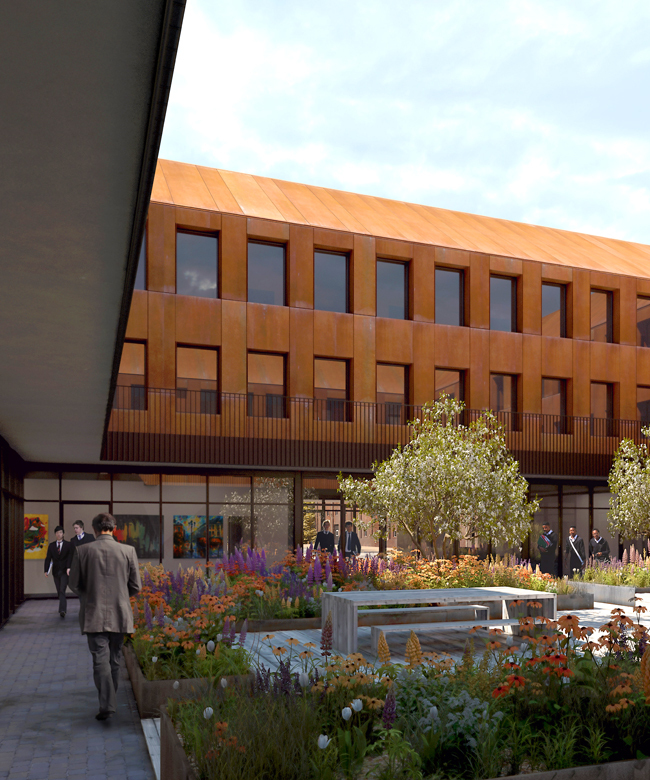 The oak-floored main corridors look out on the landscaped central courtyard, a meeting place for students and a site for open-air presentations, plays and recitals. All student living accommodation is within this signature building, as are the common rooms, separate study areas, music practice areas and a medical facility. Some teachers, notably the Principals, one Assistant and a Matron are housed in two of the corners. Student bedrooms are mainly double and en-suite. The classrooms are fully equipped, flexible places allowing for a mixture of traditional learning, digital research, personal interaction and discussion. The College will use the Malthouse for dining, science, art and, of course, drama. 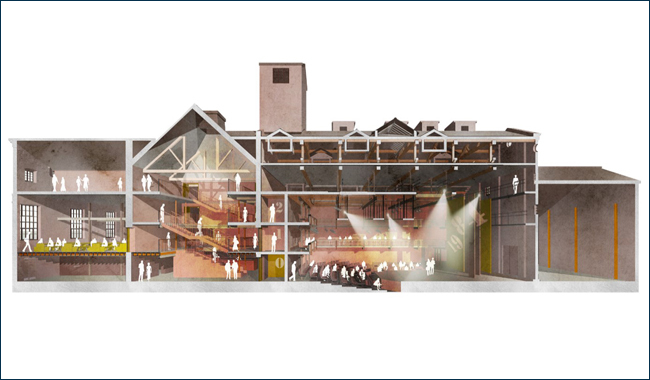 The recently approved conversion of the Victorian Malthouse received unanimous backing from Canterbury City Council, especially with the reinstatement of some of its architectural features. 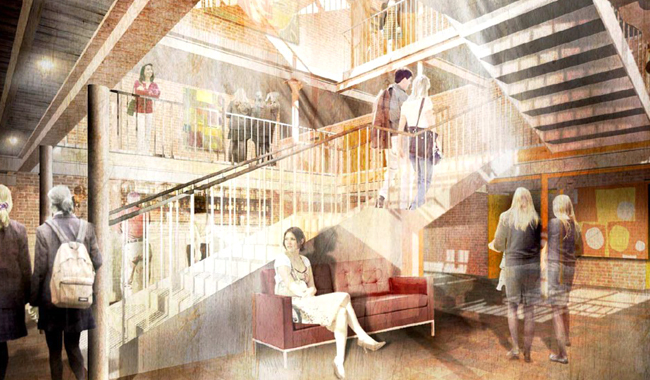 The architects are retaining or restoring many of the building’s original features, except that it will now be full of creative young people and will contain drama workspaces and other teaching areas, as well as a 350-seat theatre of the highest quality. Drama at King’s is always of a very high quality, but this new development will provide the King’s community with even more opportunities to expand and excel. 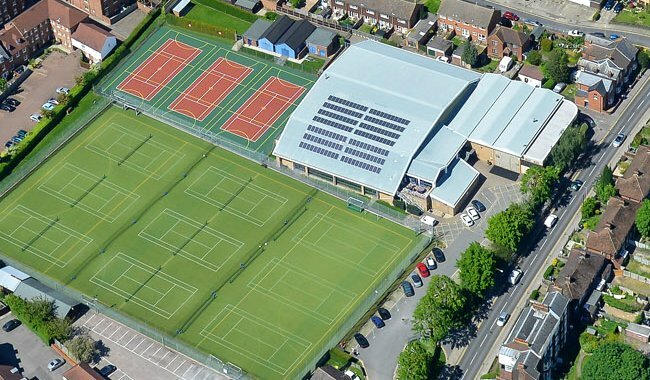 Birley’s Field, named after Norman Birley (Headmaster of The King’s School 1927-35) who bought the land in 1927, is the main playing field. Blore’s Field, named after George Blore (Headmaster of The King’s School 1873-86), has been used by The King’s School for over a hundred years.